People enjoy watching sci-fi movies and playing sci-fi games, and now NextGen Gaming is presenting to you a science fiction-themed video slot, called The Spin Lab. This game will remind you of the 1982’s blockbuster Tron in which the hero disappears into his PC game. That’s what the theme looks like, but don’t expect any other resemblance. The Spin Lab is 5×3 reel video slot with 25 fixed win lines. The house edge ranges among 4.2% to 4% and slot volatility is medium. You can start betting with £0.01 and increase it up to £2.00. This game features both wild and scatter symbols and you can win £50,000 if you apply the best gambling strategies. The slot reels move in front of a blue-luminous background that may look like the transporter room of Star Trek movie. All the reels are transparent and science related symbols work to improve their beauty. The main symbols of this game include cell structures, DNA spirals, and electrical circuit cube along with 9, 10, J, K, Q and A. A colorful icon with Wild written on it acts as the wild symbol and burning silver ball is the scatter symbol in this game. 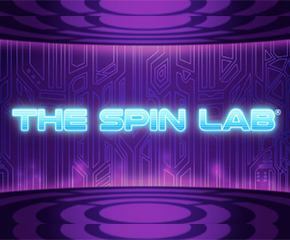 The Spin Lab allows you to create your own bonus features and play according to your demands. Below you can check how you can create and customize the bonus features. The best thing about The Spin Lab video slot begins when you land on 3 or more burning silver ball symbols, which is the scatter symbol. 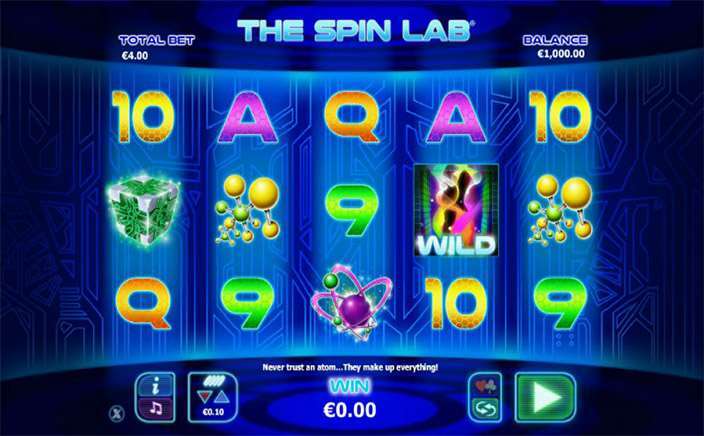 Initially, you get 5 free spins and then you move to the real spin lab. Here you can select your customized bonus feature. One bonus feature from one row, so look carefully on what you pick. The entire high-value symbols of the first row turn into the same symbol. Any high-value symbol can turn into stacked symbol when you spin the reels and now you can select a high-value symbol and all the symbols you get will be the winners. The second row features stacked wilds along with some added wilds on the slot reels. If you land on a winning sequence of high-value symbols with the wild, you can gain a random multiplier up to 10x. The 2x multiplier doubles all the wins and The Spin Lab video slot pays you from both sides at row three. You can also win 5 more spins to gain more wins here. The Spin Lab video slot also features auto-pick button that picks bonus features randomly. The players need to select one of the given features to spin the reels. This NextGen Gaming powered video slot has some innovative gambling features like the one where you can customize the free spins and gain better advantages. So go on and keep spinning!